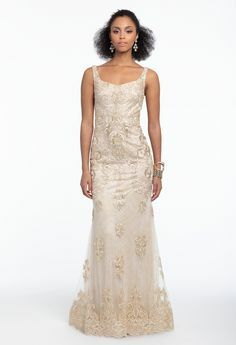 What defines vintage elegance? This. Dress. Whether you’re celebrating in a ballroom or a vineyard, this long sleeve wedding dress dials up the romance for a picture-perfect finish. Brides, capture the essence of Fall for your bridal party with wine bridesmaid dresses! The deep red hue flawlessly complements any outdoor backdrop (especially against pretty foliage!) while hints of illusion balance the modest neckline. She sure is a VIP, and she’ll certainly look like one in this dazzling mother of the bride dress! Brides, mom will literally shine by your side in this red carpet-worthy evening gown. Calling all guests seeking an edgy, yet classic style: this high-low wedding guest dress is for you. With its siren shade and glossy finish, transition into the cooler months with a look that meets in the middle of cocktail and gown. 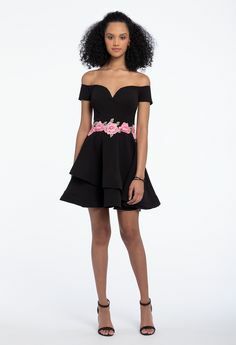 Find more dresses for all types of I do’s on CLV.com.